- This switch controls: incandescent bulbs, compact florescent bulbs (CFL) and florescent fixtures with Electronic Ballast. - Power and detection indication: The indicator lamp flashes one time each 4sec after switching on the power. 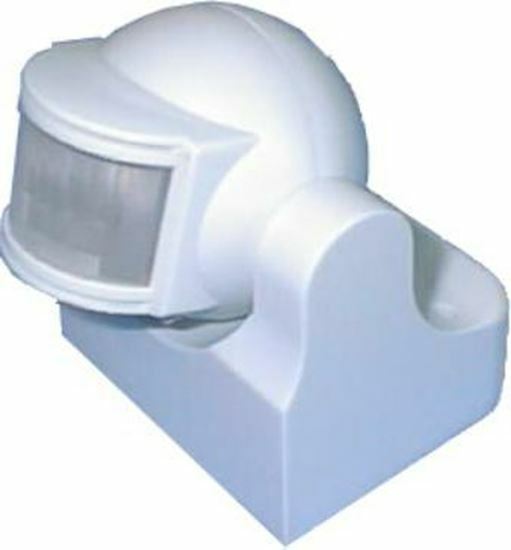 It can flash 2 times each 1sec after detecting motion signal so it can show if the detection and power are normal. - Time-delay added continually: When it receives the second motion signal, after the first, it should add the time-delay to the remaining of the first time-delay basis. - Time-delay adjustment: The working time-delay can be adjusted according to the customer desire. The minimum time is 8sec±3sec and the maximum is 7min±2min. - Locking function: during work the sensor will keep load lighting when power is shut off for 2 seconds and then on. When power is shut off for 4 seconds and then on, sensor will resume automation.